One month ago, I started volunteering to read Japanese picture books to the children at the Japanese-Canadian Cultural Center of Montreal. That happens only once a week, just for one hour, but I spend a very fruitful time there with the children and their moms. All the children there are half Japanese, who were usually born outside Japan. How important is the ability of the Japanese language for them? Maybe the answer depends on their parents. So, let’s think about What the Japanese language is for them. It’s not the first language for them. 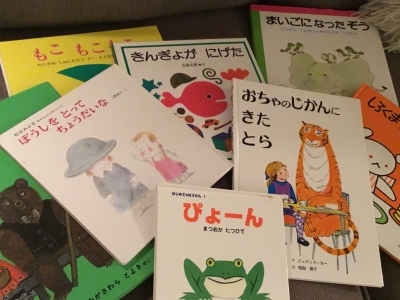 Even though they communicate with their moms in Japanese, they use French or English more with their dads, their teachers, their friends, and so on. It’s not their native language, because they were not born in Japan. It is not just the second or the third language, because it should be the more special language, which is their moms' native language. I recently learned the word, ‘succeeded language’. Yes, the Japanese language for them is a succeeded language. It’s actually controversial how they should spend energy to obtain their succeeded language. Unless they are supposed to live in Japan in the future, its purpose is very unclear. My son is not supposed to go back to Japan, although he is 100% Japanese. He can study and communicate in English comfortably now. However, he constantly studies Japanese. I know it’s not easy to do that with a lot of English and French homework. He probably knew that succeeding a language means succeeding the country’s culture, energy, and love as well. I can’t insist on anything, but I hope the half (or quarter) Japanese children will succeed in Japanese, which is a rich and beautiful language. I always read the Japanese picture books there, thinking about that.